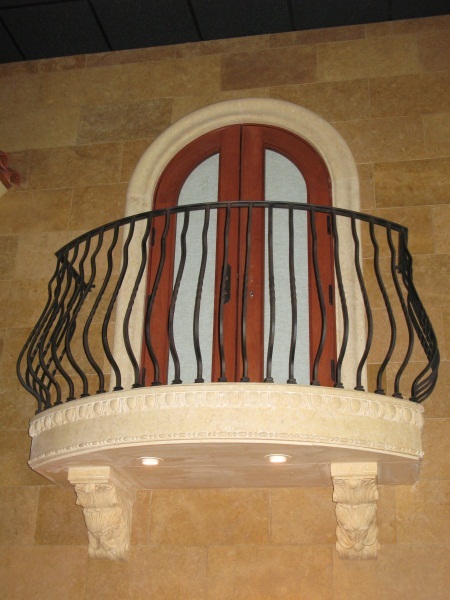 These two (2) beautiful french doors put the finishing touch into the new addition within Carved Stone Creations showroom in Kaukauna, WI. 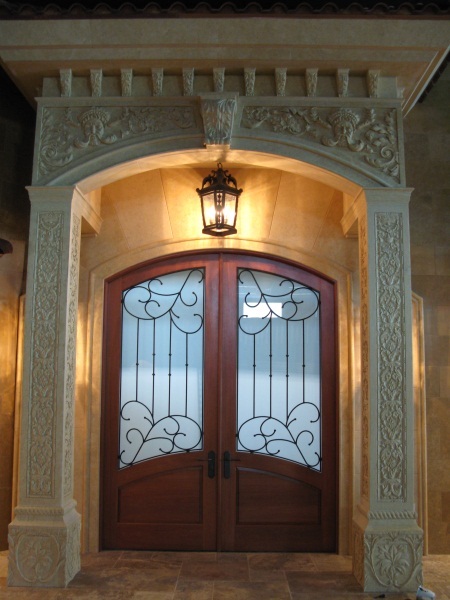 The doors consisted of South American Mahogany (2-1/4″ Thick Panels) and were factory finished with a mahogany stain and two (2) clear coats. 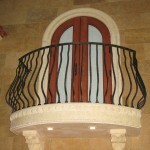 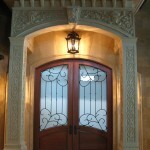 The glass was made up of 1/4″ thick laminated glass with an white opaque interlayer and the main entrance door was topped off with a custom designed wrought iron grille. 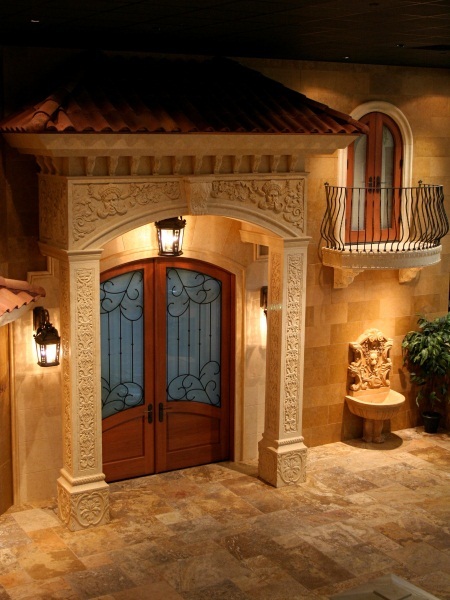 The hardware on both doors consisted of Rocky Mountain handles / locks coupled with Ashland adjustable hinges for smooth operation. 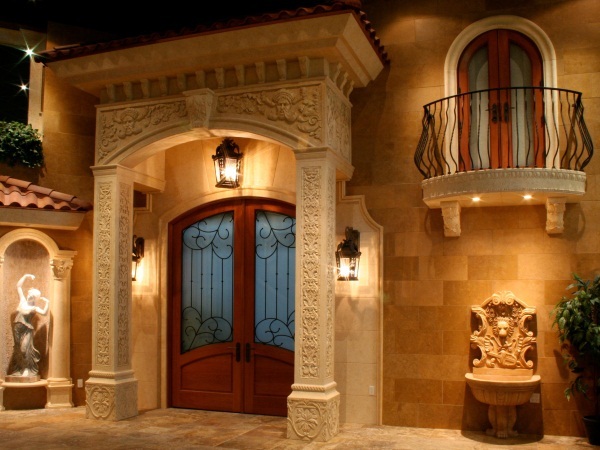 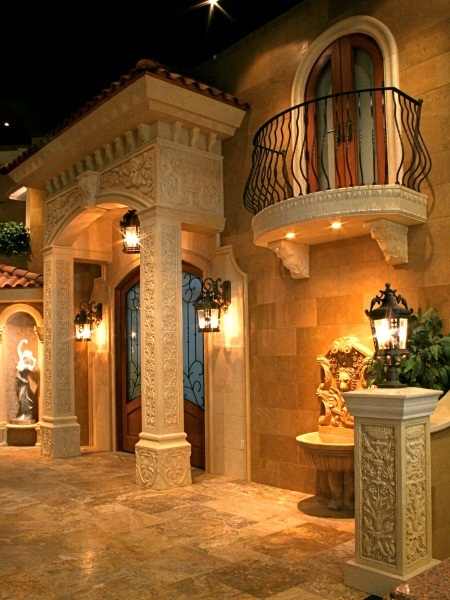 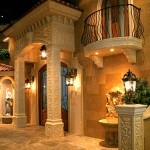 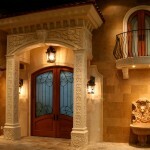 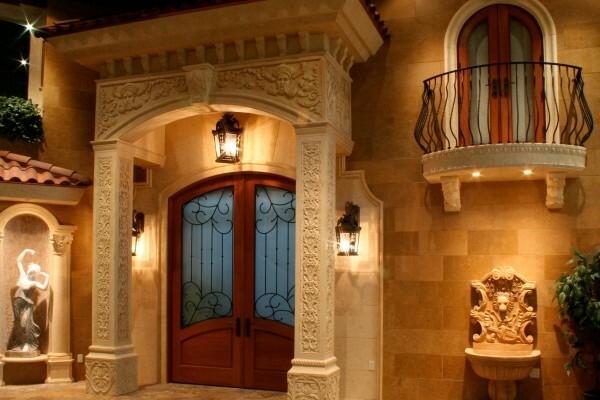 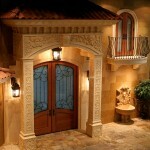 Parrett Windows & Doors and Carved Stone Creations both specialize in custom high-end residential projects that put a focus on architectural detail that will impress any discerning homeowner, designer and architect.